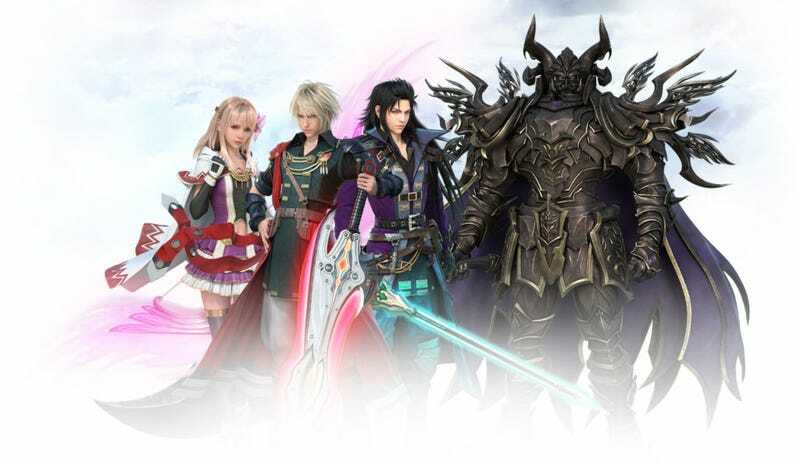 I’ve been playing Final Fantasy Brave Exvius (FFBE) and Fire Emblem Heroes (FEH) for a while now and I’ve started to realize the FFBE has much more interesting original characters (OCs) than FEH. I would attribute this fact to FFBE putting in a good amount of effort to characterize and develop its characters through its story mode, while FEH puts the minimum amount of effort to tell us a story with its OCs. FFBE’s story is extremely simple, but it takes the time to flesh out each of their characters that gets me attached enough to not mind pulling the gatcha for their season 2 variations. Throughout the story, I got to see the OC heroes go through various different scenarios to protect their world’s crystals from the evil group who wants to destroy said crystals for revenge. I just loved seeing the heroes bounce off each other in all the trails they went through because it was funny when they messed up while doing a menial task or saving a nation. It felt like I was getting a better picture of who these OCs were as they bumbled their way to victory. So when the heroes learned the truth about the evil group and had to question the virtue of their actions, I empathized with the OC’s dilemma. Though the answer the game came up with was quite bad, I’ll admit that FFBE did a great job of getting me attached to its OCs. I just wish FEH did a better job with its OCs because they’re so close to making engaging OCs. FEH for the most part has a similar story structure to FFBE in that there’s a bad guy(s) trying to do bad things and the OCs and their friends try to prevent the bad guys(s), but FEH doesn’t take as much time to flesh out its OCs as FFBE. Instead, the game usually uses its limited time to have the characters from the main line Fire Emblem games say a line or two. It’s honestly kind of sad because if Intelligent Systems (IS) took a little extra time to consistently have the OCs, bounce of each other or have the OCs interact with the mainline FE characters more, I’d be much more invested in the game. These interactions would just make FEH such a unique experience because I would be able to see these OCs or the mainline FE units in newer lights. I understand that IS is mostly using FEH to promote the series, but I think people would be more invested in the game and series if they allowed people to get to know its character better. In any case, what’re your thoughts on mobile game OCs and what do you think makes them engaging?